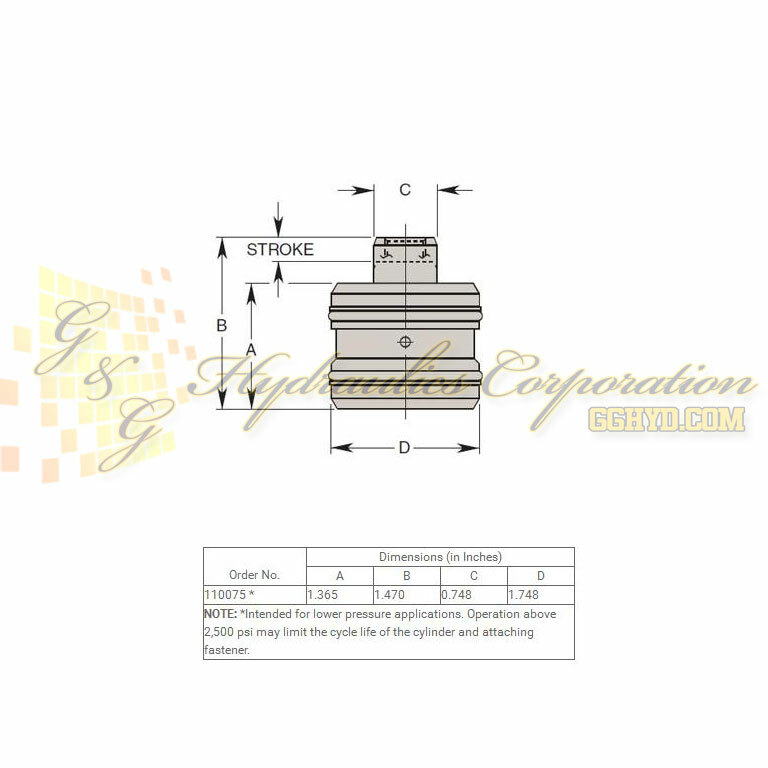 Part #110075 Hytec Cartridge Pull Cylinders 5210 LB. .178 Stroke Single-Acting, Spring-Return, 5,000 psi maximum. These cylinders retract when hydraulically pressurized to exert a pulling force on clamping elements or mechanisms. For straight pull applications only, they allow the user to design a cylinder into a fixture while maintaining the replaceability and long life of a heat treated, corrosion resistant cylinder body. 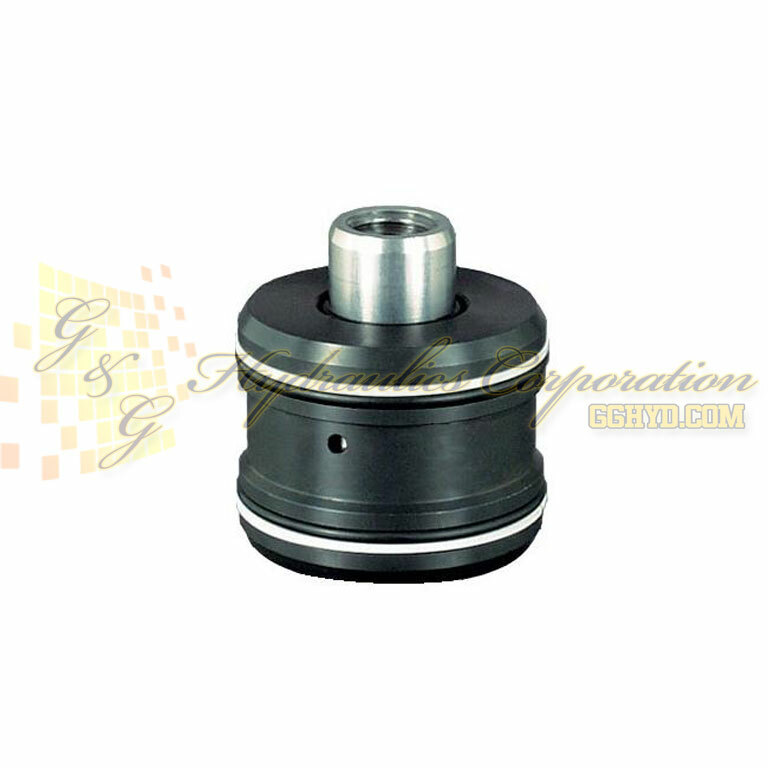 Designed for single-acting systems only, the cylinder’s return spring is built into the piston and requires no additional fixture space. The pull cylinders are designed for cartridge mounting in a cavity supplied by the fixture builder. 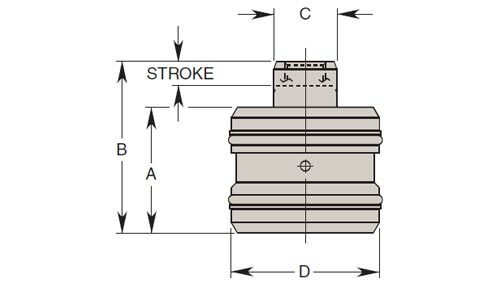 The required cavity is simply a cylindrical bore with a properly deburred pressure port intersecting it, providing the fluid connection. 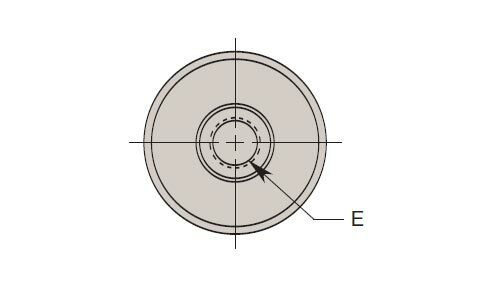 The depth of the bore matches nominal plate thickness so the cylinder can be easily “sandwiched” between two plates if desired. Where possible, pins inserted in the back of the piston are provided. These pins are guided by holes drilled in the sub-plate and will prevent cylinder rotation when adjustments are made. A breather hole should always be provided and may be combined with the pin holes where appropriate. NOTE: * Intended for lower pressure applications. Operation above 2,500 psi may limit the cycle life of the cylinder and attaching fastener. 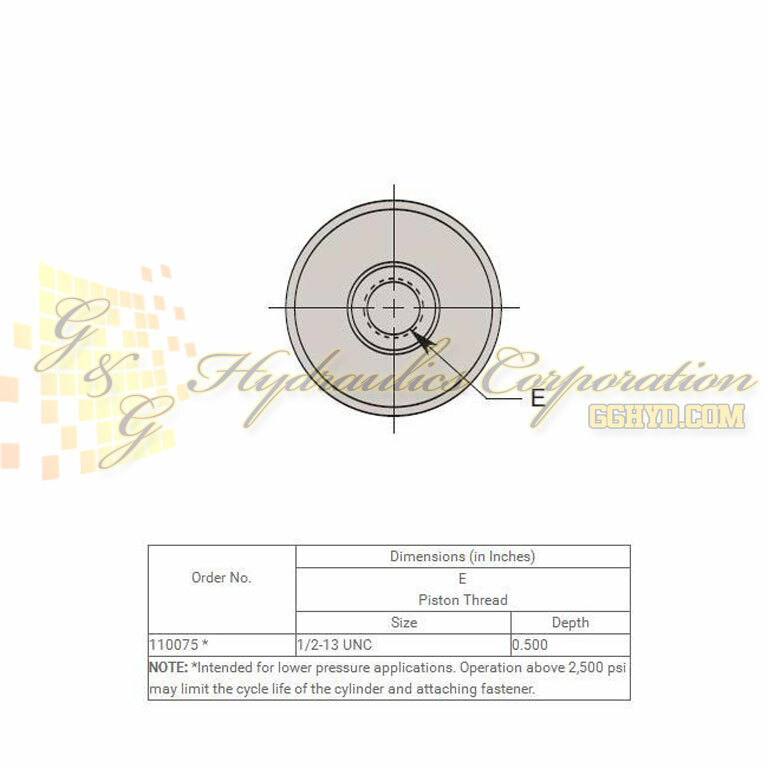 NOTE: *Intended for lower pressure applications. Operation above 2,500 psi may limit the cycle life of the cylinder and attaching fastener.